Home Blog When can you make a late claim for motor accident compensation? When can you make a late claim for motor accident compensation? There are strict time limits for making a motor vehicle accident personal injury claim for compensation, but in a recent case the Court of Appeal has examined the circumstances when leave to proceed will still be granted by the court. secondly, whether the monetary threshold was likely to be met. 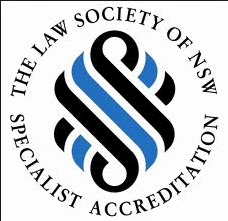 Leading the appeal, Gleeson JA noted that for the purposes of s66(2) an explanation is “full and satisfactory if it satisfies two requirements (as outlined in Karembelas v Zaknnic (No 2)  NSWCA 433 at ). The first requirement for a full and satisfactory explanation is that it includes “a full account of the conduct, including the actions, knowledge and belief of the claimant, from the date of the accident until “the date of providing the explanation”. The reason for this is so that the Court can evaluate all of the reasons for the delay and decide whether they are full and satisfactory (see Mancini v Thompson  NSWCA 38 at ). The second requirement is that the explanation must be such that the reasonable person in the position of the claimant ‘would have been justified in experiencing the same delay’. The ‘delay’ is the period during which the claimant was late commencing proceedings more than 3 years after the date of the motor accident, subject to the effect of s 109(2) which stops time running where a claim has been referred to the authority for assessment under Part 4.4. Here it is common ground that the effect of s 109(2) was the relevant delay was almost 16 weeks,” Gleeson JA said . the primary judge had overlooked unchallenged medical evidence from Dr Conrad to employment restrictions. “Of even greater significance, her Honour conflated the requirement for a full explanation of the delay with the issues relating to the monetary threshold, in particular whether Mr Dijakovic’s explanation for not working since late 2012 would likely deny his claim for economic loss,” Gleeson JA said [in 94]. With regard to the monetary threshold in s 109(3)(b) Gleeson JA said that the primary judge had erred in her approach to how conflicting medical evidence should be approached on such an application. And importantly, that the authorities emphasise that an application for leave under s 109 is not the trial of the claim. “Where the parties join issue on the basis of tendering medical reports that take a range of positions, without cross examining any of the witnesses, ‘the Court should be very slow to resolve the matter adversely to the claimant on the basis of medical reports that are debatably favourable to the insurer on the threshold issue but are contradicted by the claimant’s medical evidence’: Harika v Tupaea  NSWCA 332, ,” Gleeson JA said . Gleeson JA noted that counsel for Mr Perez had accepted that her Honour should have approached the threshold issue by reference to the claimant’s medical evidence taken at its highest [in 120]. Leave to appeal was granted, and the appeal allowed. Dijakovic v Perez  NSWCA 174. Gleeson JA, Leeming JA & McCallum J agreeing separately. See the case in full here.